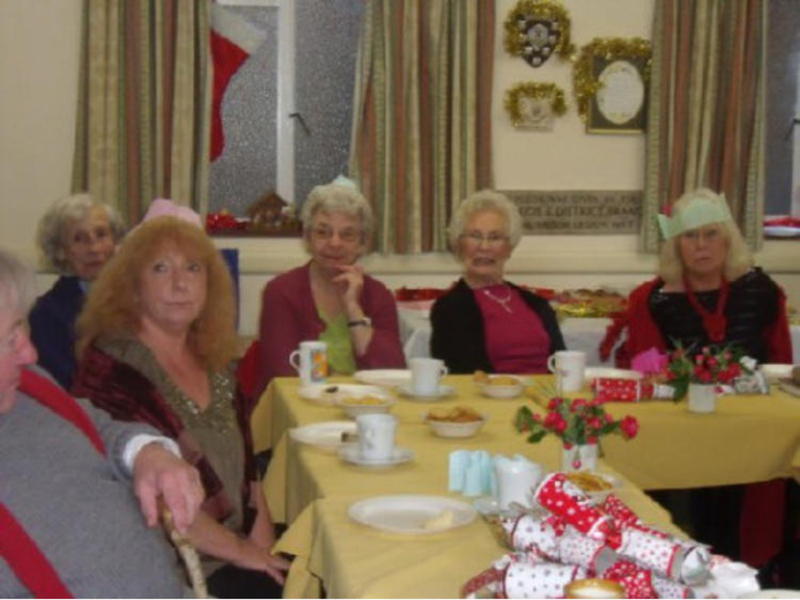 We have just had our staff Christmas Party with all the usual immature games that we all like at this time of year. Thanks to Joanna for the chocolate game think that was a big hit this year. Thanks to Gaye for the pass the parcel story game and to Ruth for the musical Quiz won by Julie and I, nice to know your new directors are so knowledgeable in their field. But in all seriousness the Pop In Place would not be able to operate without everyone’s efforts and people playing their own individual parts in making it the most wonderful vibrant village organisation. So I thank you all and wish you a very Happy Christmas. 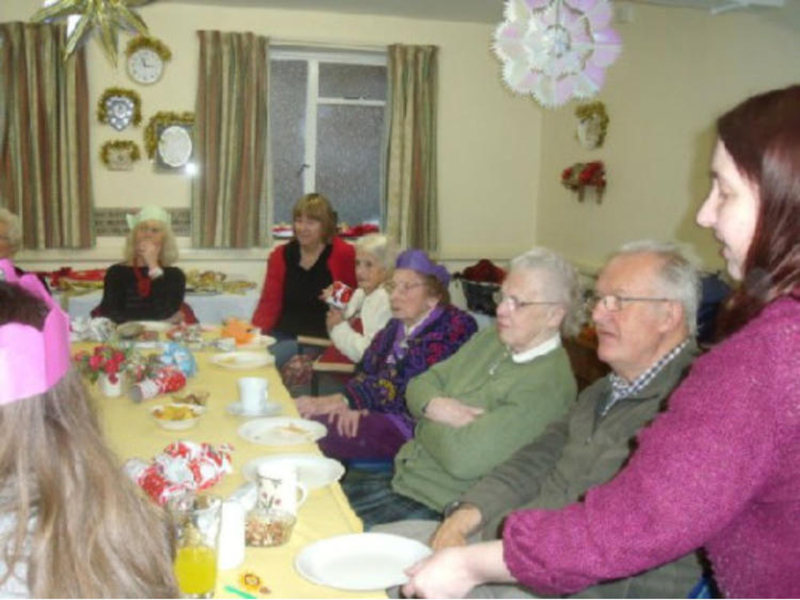 We had a lovely time at the Monday Christmas Party, thanks to everyone who came along and to all who helped with the games and Quiz, thanks to Gwen for the pass the parcels and to Julie Osmond for the lovely home-made Mince pies. 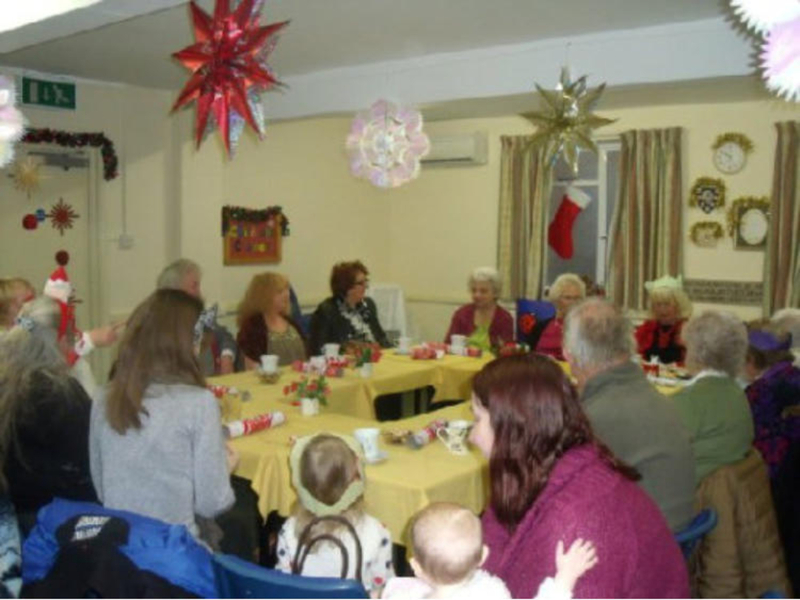 Well done to everyone who won the free raffle prizes, and Cis you wont be able to be late now that you have that lovely clock, well done to Jean for winning the cake and to Rita who won the beautiful hand made Christmas mats made by Stella. 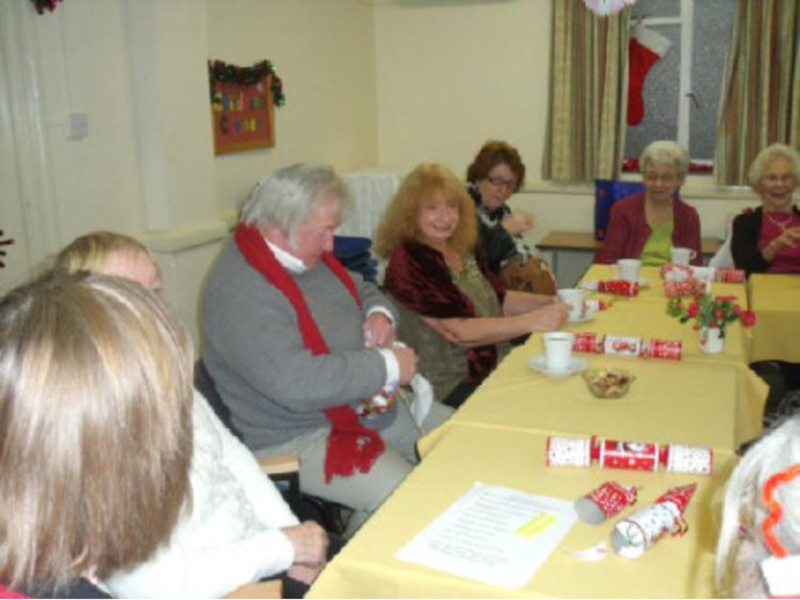 We had a great time and Julie Lye told us some very amusing Christmas jokes, some I had never heard before! Merry Christmas everyone see you next year we start back on the 7th of January 2013. 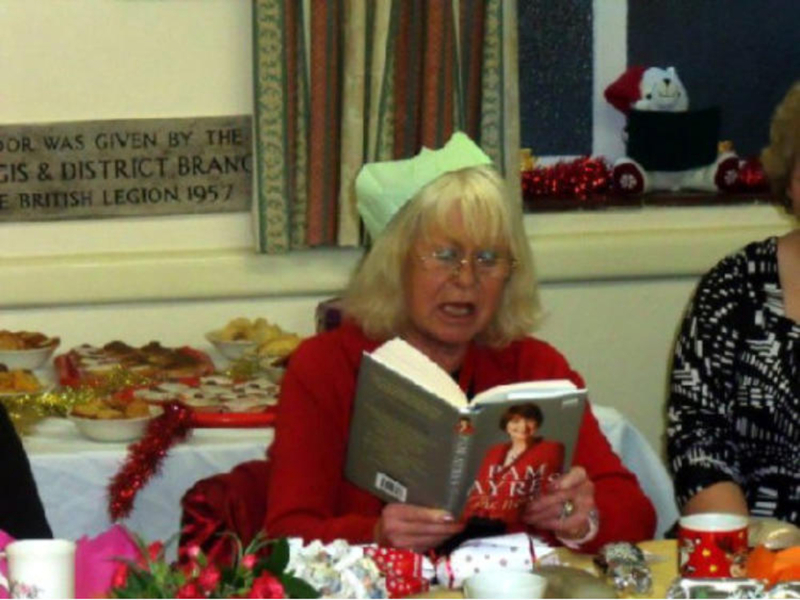 The Pop In Place is holding a festive Morning next Friday 21st December at the upper Village Hall from 10am until 12 noon, there will coffee/tea and warm mince pies, traditional carol singing with Kath Jeeves at the piano, and a visit from the children from Bere Regis school who are going to sing for us. All welcome to come along and join in the fun. It is also hoped that Rod will be there doing some filming for the Bere Regis DVD. 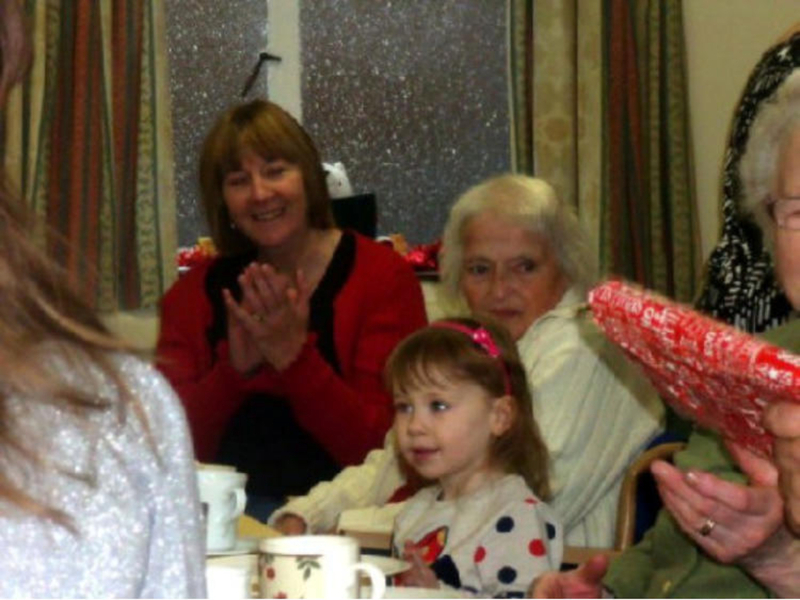 The Festive Morning wasn’t looking too festive on Thursday as poor Kath was ill and unable to play the piano, then Bere Regis school sadly had to pull out due to illness. 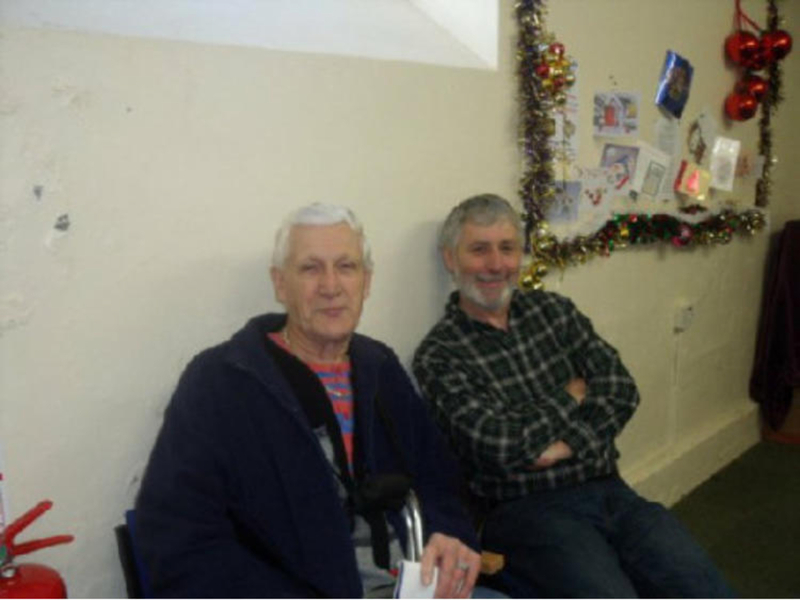 However in true community spirit Jim was able to source David Leigh, who is the most talented pianist, and he played for the whole morning with the carols and for people to sing Jim and Jan did a lovely version of a “Winters Tale” and Julie and I sang “In the Bleak Winter” and David played beautifully. Tony Shave was well enough to attend after his recent accident and was voted the best Bing sound alike in the Bing Factor this was a close run thing with lovely singing from Max, Colin, Ruths Dad, Graham, and of course Jon. Thanks to Gaye and Liz Farley and Rose who did the teas, it turned into a lovely morning against all odds so thank you to everyone especially Pastor Jim who came to the rescue. Also thanks to 'CARS' for the lovely display left on the stage from their recent Father Christmas event, that really helped to create the Christmas spirit. It was also lovely to see Rod doing some more filming for the Bere Regis DVD project. We start back on Monday 7th January we wish all our supporters and volunteers a Happy Christmas and we look forward to the New Year when we have many new and exciting challenges ahead of us. We have just staged three shows of Peter Pan to sell out audiences, the cast and crew have done a fantastic job and the community have very much enjoyed the delights that we have bestowed on them. 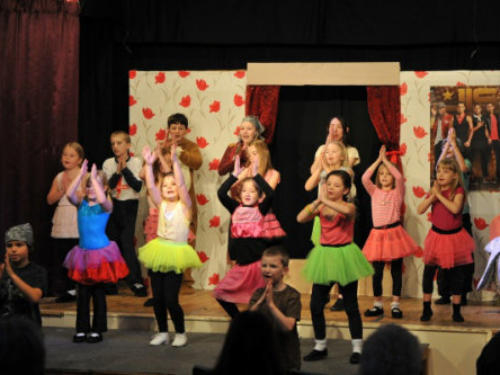 Many of the younger members of the group were taking part for the very first time, we also had some adults taking on roles who have never acted before and they have all done a marvellous job. This production has greatly benefited from the new lighting system and that has added another dimension and been instrumental in the professional feel of the show. The costumes and the set were excellent and the wealth of talent that exists within the cast is just outstanding. Thanks to Janet and Pastor Jim for their tireless work with this production, they have worked so hard to pull off the most ambitious pantomime the group has undertaken. Well done to all involved and I am very pleased to announce that we have raised a phenomenal £1,200 for the Alzheimer’s Society who will use that to help in very real and positive ways to improve the lives of those living with dementia.